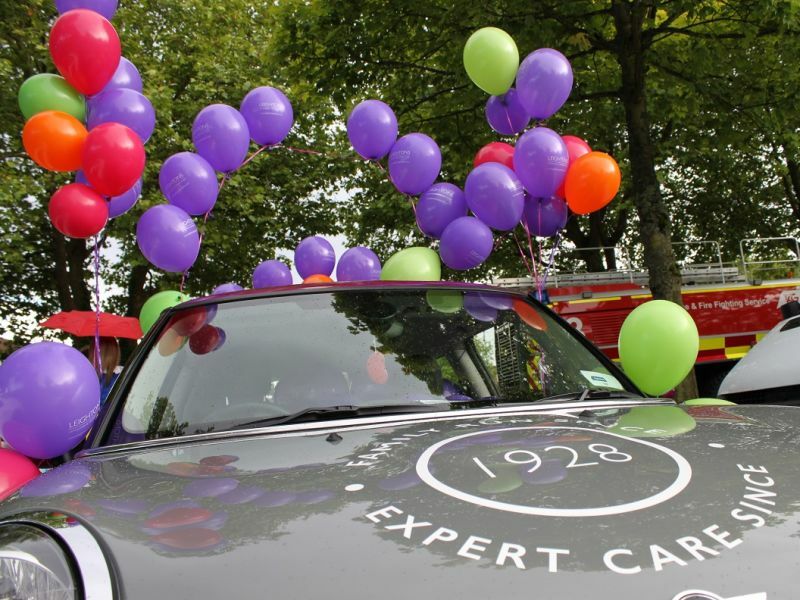 The last Saturday of June marks the return of the annual Farnham Carnival – a chance for everyone in Farnham and the surrounding areas to come together as a community and enjoy themselves, and this year, Leightons was part of it! The 2016 Carnival boasted bands on stage throughout the afternoon, a craft marquee, beer tent, Vintage Cake House, stalls, sideshows and children’s games and entertainment. However, the highlight of the Farnham Carnival is always the Carnival Procession. There are usually around 50 entries, including groups from local charities and schools, who all assemble to tour the town centre on a route more than a mile long. 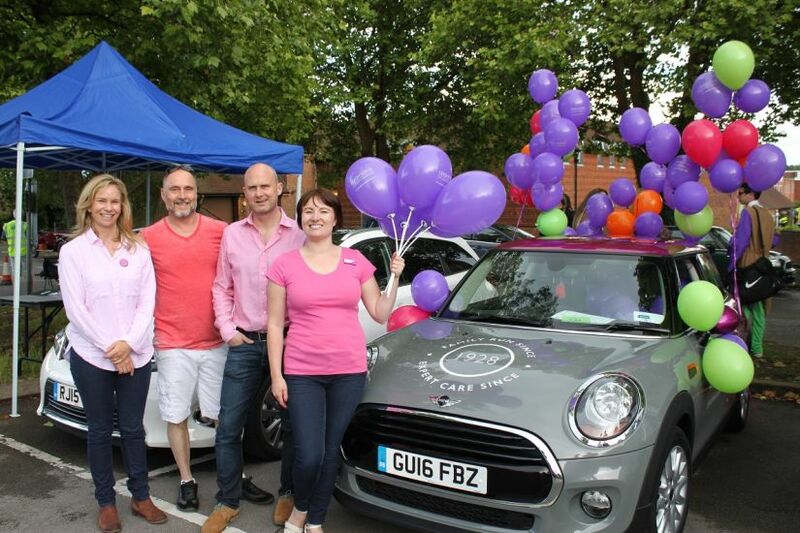 This year, Leightons Farnham had the opportunity to take part in the Carnival Procession, and staff took to the event with great enthusiasm! 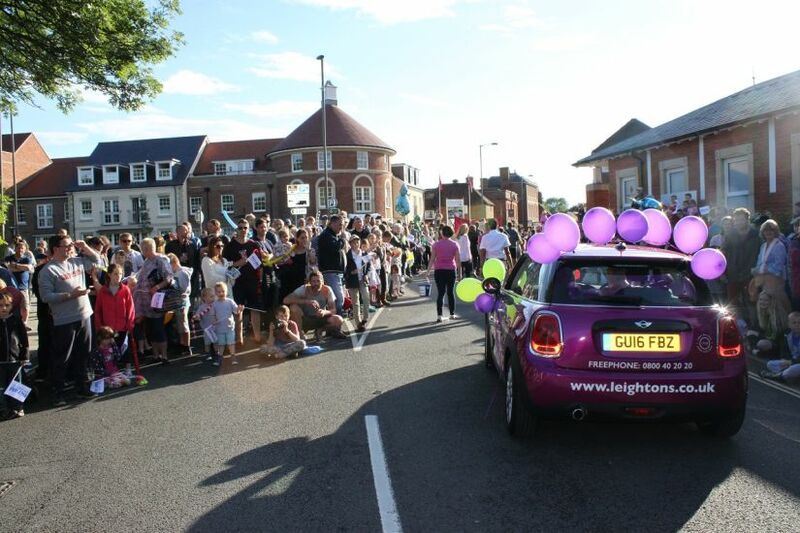 A Leightons Mini was entered into the parade, swathed in balloons and packed full of goodie bags (and more balloons) to be handed out to the families that lined the route. The branch also hosted a charity cake sale for the afternoon. The Carnival was a huge success. The weather even held off for the parade, although in traditional British summer style it was bookended by some fairly heavy downpours. Leightons staff handed out lots of balloons and goodie bags, and the Leightons Mini quickly became known as “the balloon car” amongst the children. Parade participants also carried buckets to collect generous donations from the onlookers, all of which was later distributed amongst local schools and charities taking part. The Farnham Carnival was the first local event that the Farnham branch has taken part in, but after such a fantastic day, it will be the first of many. It was a great opportunity to strengthen links with the local area and showcase Leightons’ community spirit, raising money for deserving local causes in the process. 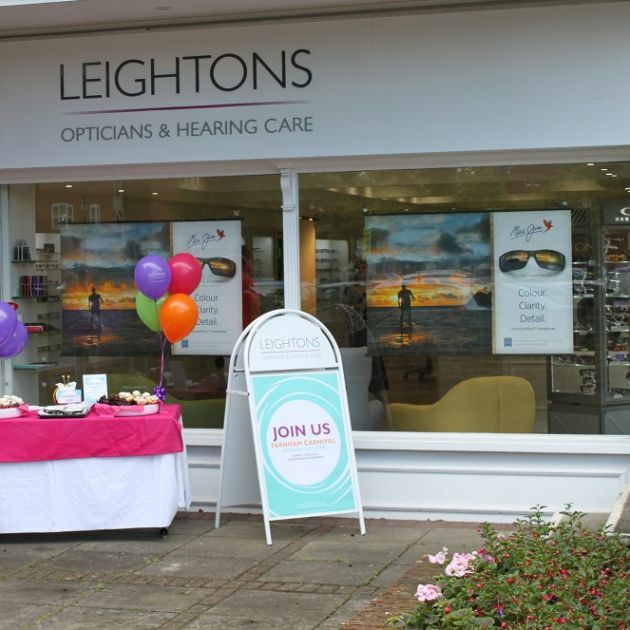 Leightons Opticians & Hearing Care Farnham is located in the heart of the town centre on Downing Street, so why not stop by for a chat? We offer a thorough eye examination, a huge range of frames, sunglasses and contact lenses, hearing aids and free hearing assessments. You can also call us on 0800 40 20 20 or book an appointment online.